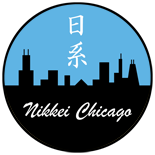 An op-ed commentary describing the challenges for Japanese American non-profit organizations in Chicago, and the need to develop succession planning strategies for the future. When I left my last job in the advertising agency business, my title was Group Account Director. Aside from running the entire agency, this was about as high as anyone could advance. I had worked my way up from Account Coordinator to Assistant Account Executive; Account Executive to Account Supervisor; Management Supervisor to Group Account Director. This is similar to the military chain of command, whereby one starts out as a Private and can work their way up to General. The Executive Branch of the government has a clear line of succession should something happen to the President. Almost every Japanese American not-for-profit organization I know of shares a problem. How do they replace the Nisei generation that led community organizations for decades and gave so tirelessly of their time, energy and money to make them work? The answer is they can’t. And shouldn’t try. That would be an impossible task. The spirit and dedication to the community that the Nisei had is something that cannot be replicated because no other generation has gone through the personal trauma that they have. Their unique experience is what shaped JA organizations to be what they are today. Instead the focus should be on respecting the legacy of what the Nisei have accomplished by securing the future through succession planning. From a historical and sociological viewpoint, this is completely understandable. The Nisei generation, by having a better command of English than their parents, or the fact that they were U.S. citizens and their parents were not, often were forced at an early age to accept responsibility for family matters, for business matters and for community matters. After a lifetime of being the original “sandwich” generation of shouldering the responsibility of parents and children, it’s tough to let go. For Sansei, having been told their whole lives to concentrate on school, work, and being “American,” the concept of JA community service may be a bit foreign to many. So how do we solve the manpower problem for JA community organizations? By making sure that JAs of every age are involved in the community. By succession planning. Organizations can benefit from the energy and enthusiasm of those in their teens and twenties. These young people offer new ideas, friends outside the mainstream JA community, rapid communications via social media networks, and not least, the physical strength to set up chairs, erect stages and cook hundreds of chickens. JAs in their thirties can offer the experience they gained working on projects in their twenties. Having gone through the process at least once, they can serve as committee or team leaders and guide those just coming into the fold. Because this is the prime family building age, this group is ripe to start thinking about the next generation. The next generation, those in their forties are arguably the last generation to experience Nisei-in-their-prime events as children. Being in the middle of both their careers and family life, they can offer both professional expertise and actively plant the seeds for a new generation within their own families. JAs in their fifties should be about fund-raising and connections. Community organizations cannot survive, as they did for so many decades, solely on the financial support and labor of people within the community. This group should be thinking squarely about strategies for an organization’s future. Those in their sixties and up, should be treated as the respected statesmen they have become. They bring institutional knowledge and should be asked for advice and blessing, as opposed to manual labor. And don’t forget including kids, from teens down to toddlers. 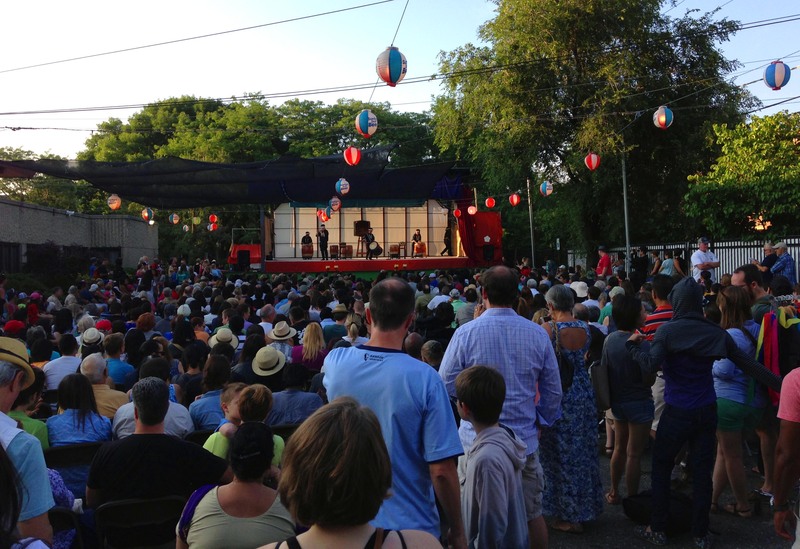 There’s no reason why we can’t pass along a new version of picnics at Rainbow Beach and three-day-long bukkyokai summer festivals to new generations to create within them a lifelong memory. What this succession planning guideline is suggesting is that there is no one select age group that is, or should be responsible for the success of community organizations, but rather the entire breadth of generations needs to be called into action. Of course, recruiting is a difficult hurdle that everyone faces, but if an organization is worth carrying on, it’s worth promoting to new people. If we are to truly honor the work done by our Nisei forebears with community organizations, we must raise our children, convince our friends, and remind ourselves that community service is a continual part of life and something that must be passed along to another generation. And that is only done via having a next generation in place to pass it along to. Time to get moving. The future started yesterday. This op-ed piece was originally published in the Chicago Shimpo newspaper on October 24, 2014. It has been reprinted here with the kind permission of the Chicago Shimpo and of the author. This entry was posted on March 6, 2015 by R Y in Community, Gosei, Nisei, Op-ed, Sansei, Shin-Issei, Uncategorized, Yonsei and tagged Chicago, Non-profits, Op-ed, Robert Kumaki.